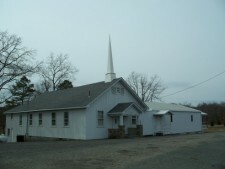 Welcome to Acorn Baptist Church. We hope you will visit with us soon and experience God’s presence and enjoy our great fellowship. You will feel welcome and at home with us. Please contact us with your prayer needs and concerns. Directions to our church: From Mena, Take Highway 71 N appoximately 4 miles to the Acorn Community, turn right on Polk Road 188, then go 0.5 miles. The church is located on the right.